Sony Ericsson Android Tablet spotted.. There are only two major handset manufacturers who haven't yet announced a full-blown tablet device, Nokia and Sony Ericsson. Nokia.. well, its MeeGo project just imploded and we could be waiting a long, long time for them to sort themselves out. But Sony Ericsson have been busy of late (with things like the Xperia Play), so they are almost definitely working on something big. 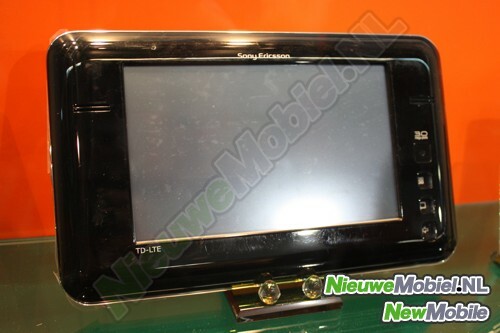 The sharp-eyed folks at nieuwemobiel.nl spotted this tablet (presumably at MWC) that does genuinely seem to be a Sony Ericsson device. That's the good news.. the bad news is that it looks like an engineering prototype of the TD-LTE network in China, which might explains the retro look. There are a whole lot of rumours about what Sony Ericsson might come up with. Sony have apparently been very heavily involved in its design, so we're expecting something more than a dull black slabby thing..
A smartphone minus the phone.. and hopefully minus a wedge of cash too. It took a while for LG to get into the tablet fight, but this Optimus Pad looks pretty good. But do we really need a 3D camera on the back?? Lots of announcements from HTC today.. and they are all Android. Shouldn't it be "Samsung Galaxy T"? Still, a major upgrade and a worthy successor to the impressive Galaxy S I.
I like the Desire, but this just looks like a mid-life kicker.. The original Galaxy Tab was so-so, and it was certainly no iPad. This one is bigger and better and is certainly a contender for the best tablet out there. Sony Ericsson are BORING. Well, they were boring but now they went a did this mad and brilliant mash up of PlayStation and Android phone. I'd love it even more if I ever had time to play games.. Now..I know that I don't need this. But I still want it.. and no doubt I will use the 3D features about once. Still, under the hood this is possibly the most powerful Android smartphone about. It looks great.. but seriously, Android 2? Single core? No doubt it's a lot of fun to use.. but for the money they are likely to charge, perhaps something better would be nice. Facebook? Not my cup of tea, but if it is then this looks very promising.. The Sony Ericsson Xperia Play has been pretty widely leaked for some time now, but now it's "almost official" with a full announcement coming on Sunday just prior to the big Mobile World Congress event in Barcelona. Basically, the hardware is a standard Android slider that replaces the QWERTY keyboard with some Playstation style gaming buttons. We don't know the exact spec of the handset, but we'd guess that it has at least a 1GHz processor and something like an 852 x 480 pixel display (it's hard to be sure from the only official photo we have). The software is a different matter, Sony have already given a commitment to mobile gaming so expect some cool additions here. 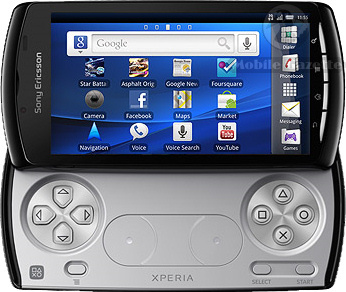 Also, we suspect that to get the best out the Xperia Play then games will need to be adapted to use the controls. It will be much easier to play certain games this way though as a standard Android handset really only has the touchscreen and accelerometer which makes some genres frustrating. We'll know the the full score in a few days, hopefully including information about the launch date.